Canadian has a much better look with the trough and thus sends us snow. This is the first Canadian run to do so. Always down and gloom with the Canadian. Hasn't even been two weeks since it showed us going back in the ice age and we all know how that played out. Not believing it one bit this go around. GEM was also the one who called the Dec 8th snow though. No doubt everyone gets cold enough. It’s all about moisture again. Models will struggle for a few days on that. 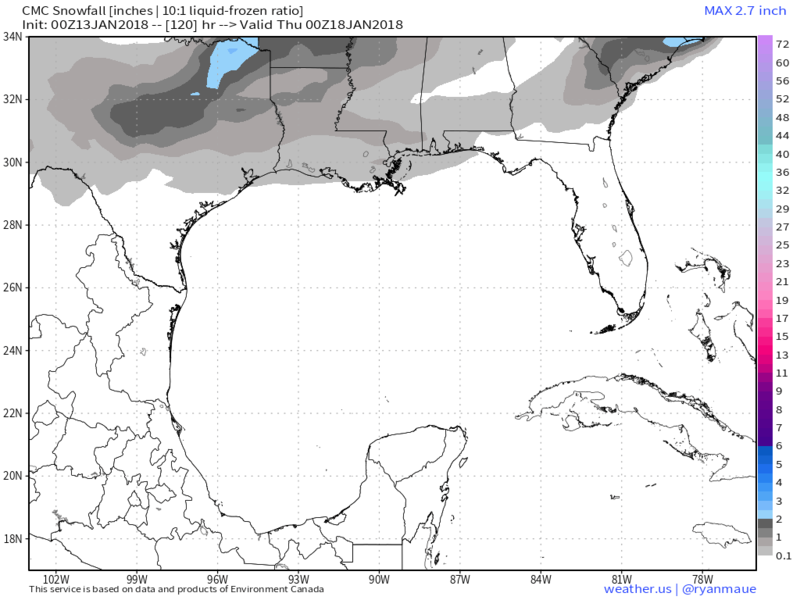 Remember when it snowed along the coast a few weeks ago and the models were just showing a spec of QPF? 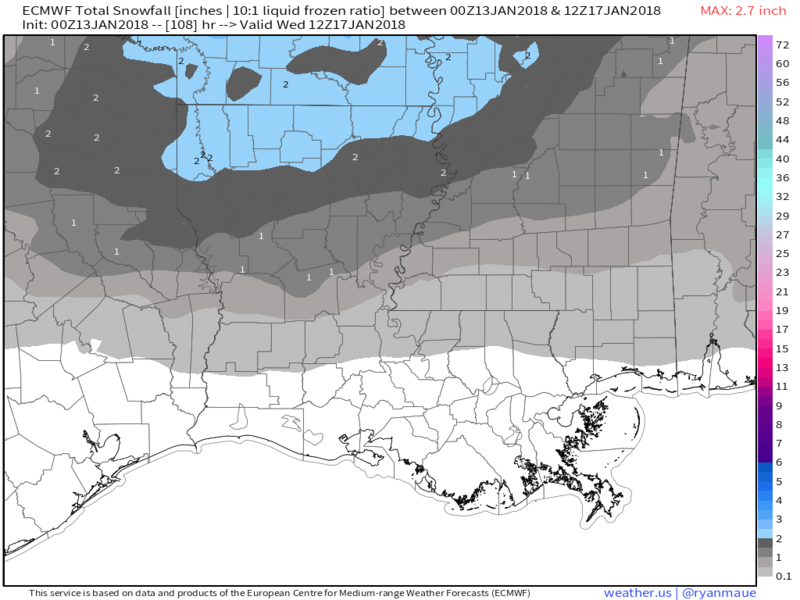 Just a few days prior to the event the Euro was dropping inches of snow across your area, it ended up busting big time considering for being "king euro" lol, along with the CMC. 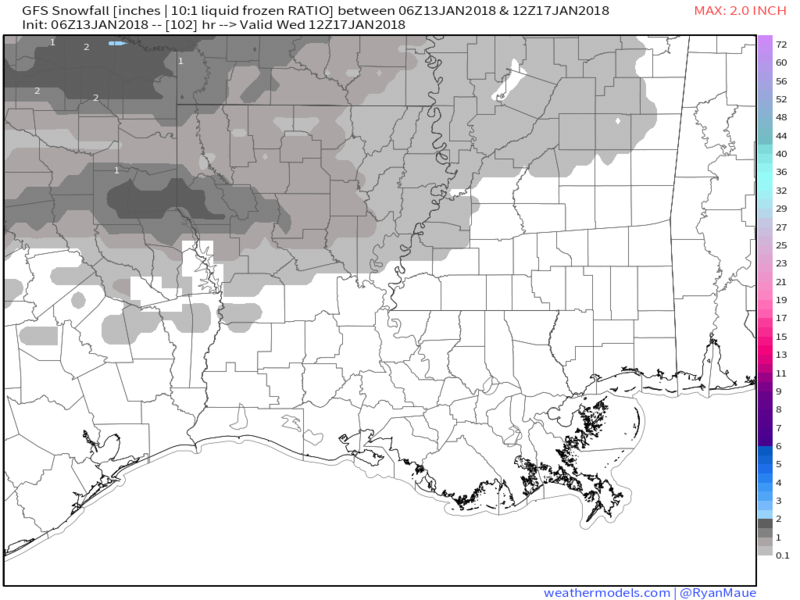 The NAM was right all along of being a non event, with most of the precip not reaching the ground across most of SE LA. The EURO corrected itself with that event and kept most of the precip offshore which is in fact what happened. It was only like 5-6 days out it was all onboard for a snow which didn’t materialize. You just watch every run and understand the potential is there. Just like in December everything went right leading up to the event, in many cases everything can go wrong too. Right now everything is trending drier and drier. King NAM now starting to get within range, showing moisture drying out as it nears the gulf coast. 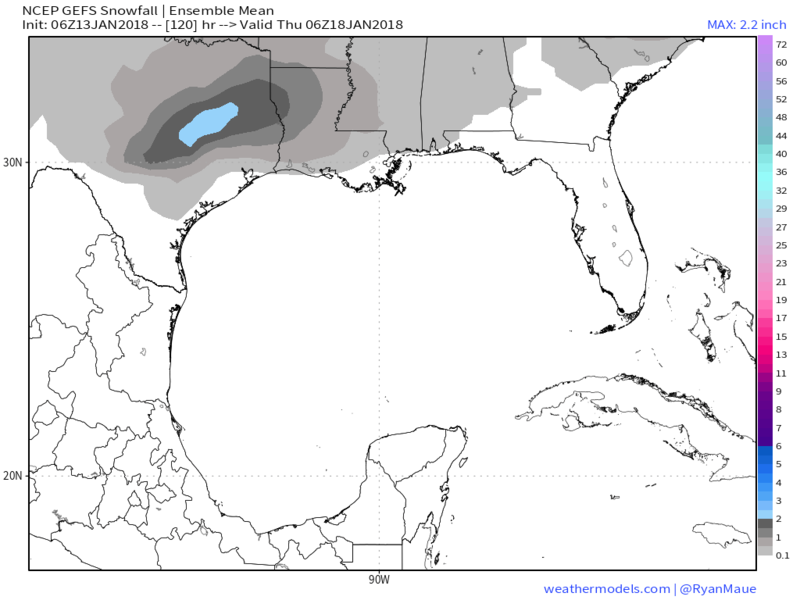 As you have mentioned before is really hard for much snow to fall across the gulf coast with a NW flow, things always tend to dry out as they reach the gulf coast, the December event was different with a potent mid level energy that approached from the west or SW and not the NW.